Climate change is happening now and Providence is one of many U.S. cities stepping up and committing to ambitious climate action plans. Mayor Elorza has set a goal for the city to become completely carbon neutral by 2050. This means that by the year 2050, there will be no harmful greenhouse gases (GHGs) such as carbon dioxide (CO2) coming from energy consumed in homes, schools, office buildings, hospitals, cars, buses, or any other activity in Providence that causes climate pollution. The City of Providence worked with the Acadia Center to figure out where our emissions come from. The Acadia Center provided extensive research, data, modelling, and policy expertise to the City’s climate planning process. What is climate justice? Climate change does not affect all people equally. Almost anywhere you find polluting fossil fuel industries, you’ll find indigenous and low-income communities of color. According to the NAACP, race – not class – is the most significant correlating factor for the placement of toxic facilities in the United States. These frontline communities contribute the least to the problem, yet are already suffering from climate pollution. Experience the highest lead poisoning rates in Rhode Island. The City of Providence has committed to centering our climate and sustainability work around these communities. They are closest to the issues and are essential to finding the solutions. The Racial and Environmental Justice Committee was established in 2016 to help bring a racial equity lens to the Office of Sustainability. They crafted, and the Office of Sustainability adopted, the Just Providence Framework in 2017 and will be using it to guide this work. The Office of Sustainability went beyond a typical community engagement strategy when developing Providence’s climate plan. Through a collaboration with the Racial and Environmental Justice Committee of Providence and One Square World, those who are most impacted by the climate crisis were centered in the process and their issues and concerns prioritized. This began in the summer of 2018 with the Energy Democracy Retreat and Community Leaders program. From this program, Community Leaders interviewed over 40 Providence frontline community members. 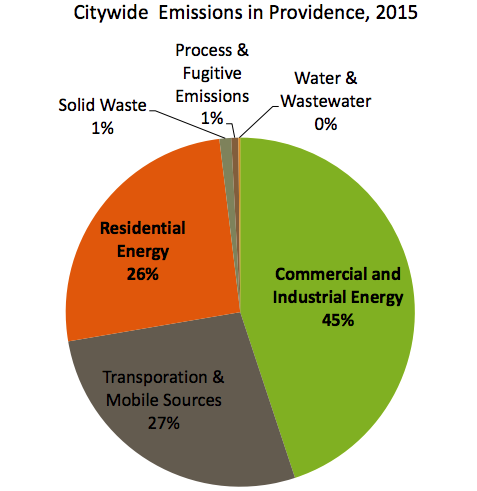 Data gathered from these interviews shed light on the lived experiences of people who are most impacted by environmental issues in Providence and will be used to inform the policy and program considerations for the City’s climate plan. Local pollution reduction: Prioritize reducing local carbon emissions and co-pollutants, especially those that burden EJ communities. 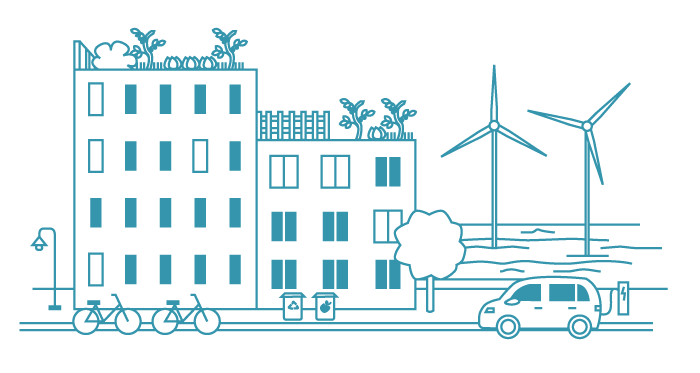 Did you know cities are key to fighting climate change? Or how much climate pollution Providence will emit by 2050 years if we take no action whatsoever? Read about all this and more in the SustainPVD blog! Let us know what policies, programs, actions, etc. you would like to see in Providence’s Climate Justice Plan.